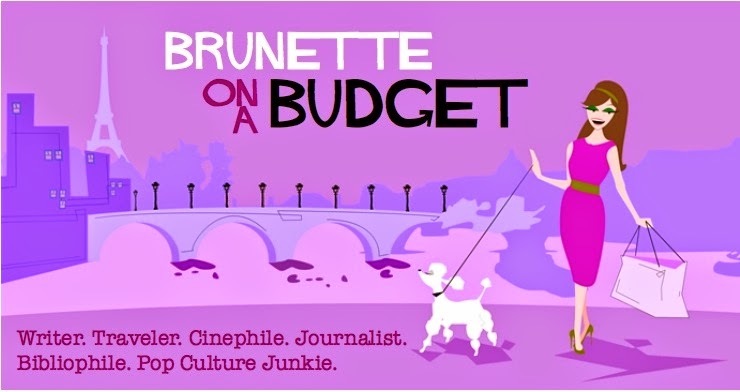 Brunette on a Budget: Saving for retirement: "A man is not a financial plan"
Saving for retirement: "A man is not a financial plan"
"A man is not a financial plan," or so goes Wife.org's motto. I admit, I smirked out loud at the candid honesty when I first read it, but the more I thought about it, the more I feel like there's much truth for many women at the heart of this financial matter. When I first started this blog, I wrote a post called "I am woman, hear me spend," where I pointed out that the pitfalls and caveats of retirement or situations such as divorce and widowhood tend to leave women with the short end of the financial stick. No, it's not that us girls necessarily make less than our masculine counterparts, or lack the brain power to figure out how to get our life in order. In fact, according to the U.S. Census Bureau, 28.2 million women aged 25 or older in 2007 held a bachelor's, master's, professional or doctorate degree (versus 27.6 million men), while in 2006, almost 66 million women (versus 76 million men) were actively employed. Not to shabby, ladies! But don't pop that bottle of champagne just yet. Women outlive men by a large margin, which means those of the feminine persuasion will need more retirement income to live on in the long run. At age 65, according to the Census Bureau, 38.3% of women live alone, versus 18% of men. It's even worse for people age 85 and older, with 57.4% of women living alone versus 29% of men. "Women work on average about 12 years less than men. With lower lifetime earnings, women tend to save less and end up with lower levels of guaranteed retirement income through sources such as employer retirement benefits and Social Security. Women's median income in retirement is only 58% of men's." "On average, a woman who is currently age 65 can expect to live to age 85 while a man can expect to live to age 82. Once a woman has reached 65, she has a 49% chance of living to age 89 and a 23% chance of living to 95." "Among women age 65 and older, 60 percent are single compared to 29% of men. When a woman outlives her husband, her income in retirement decreases by 50% average yet expenses only decrease by 20%." In a nutshell, women face longer life expectancies (yay! ), but don't plan on taking the reins with financial decisions and thus have lower retirement incomes (boo) than men to boot. Not so fabulous anymore, huh? But wait! Before you start putting that champagne bottle back in the pantry, there is cause to celebrate. Why? Well, the fact that you're even reading this is a great start, and with a little personal finance knowledge, it's beyond easy to take charge of your money and future, with or without a man in your life. The most important factor in saving is time. It's a remarkably simple equation, really: The earlier you start saving, the more you end up with in the long run. Voila! Now don't just repeat the mantra, live it! We all have our vices, for some of us they might include Crabtree and Evelyn body lotion or Alexander McQueen pumps, but that's what your play money is for (you know, all that extra dough you might have left over after you've paid your bills and yourself in the form of 401(k) or IRA deposits). Many women might be getting a late start to saving though, and hindsight's always 20/20 (God, I hate that saying!) when you feel you missed the boat on something, right? Well, if you're a little late to the game, you can always start saving more than you normally would. Generally the average person should be saving 10% of their overall income, but if you're playing catch-up, you might want to save 15% or more annually. That might not be the most feasible option, but another way to cushion the financial blow as you're revving your saving style is to relocate to a place where the cost of living is not so high. This option is perfect for people who have no real value to their name other than the equity in their house. If you live in the Bay Area, for example, where the high cost of living is expected, try figuring out places nearby where you could live much cheaper. And if you aren't married to your current locale, go full bore and move to another state entirely (out of 50, there has to be one that suffices). I know, it's never easy to leave family and friends, but it's not that bad if you move an hour or two away and can pad your retirement account more often with higher deposits because you're able to save more. What it really comes down to is would you rather live hand to mouth for the rest of your life, struggling to get by, or would you choose living much more comfortably in a cheaper place? You decide. On top of time being your best friend when it comes to saving, it's also important to be a team player when it comes to matters of finance in your family. (And for all you girls who aren't married yet, listen up, this is important in any situation where money is involved.) All too often, women allow the men in their lives to rule the financial roost; after all, it's easier to let them deal with all those dreary number things, isn't it? Working together on finances as a team ensures that neither one of you will be the sole proprietor of your family's future, and that's a heck of a lot better than being helpless, vulnerable, and faced with a bunch of question marks when disaster strikes. In fact, I think it's about time you uncork that bottle of champagne and make a toast to your new financial future -- the one that you're in charge of!